This page contains a list of links to other places on the internet of people/communities/businesses from Millstreet that are making themselves heard elsewhere on the internet. It is not a complete list by any means, so if you’d know of a link that you think should be here, then please just send us a note using our Contact Page. Today is my Gift to You is a wonderful site with photography and thoughts for every day. By Millstreet’s Fr. James McSweeney who is currently based Ballincollig, but has many photos from the Millstreet area. Francis Duggan is a native of Millstreet living in Australia, with a huge collection of poetry, much of it on the life and people of Millstreet from his youth. CorkMusicStation.com is a new (2012) internet country music station, operated by Cullen’s William Fitzgerald and son John. Music from Ireland is a website run by Leo Fitzgerald of Startrax Studios, and DVD’s of lots of the local musicians are available to purchase from there. Millstreet Pipe Band was established in 1950 and have enhanced so many wonderful historic, cultural and sporting events since then with its very distinctive sound. It’s uplifting to note the entry of many young members to the Band. Great credit is due to the founder members and those who have been in the Band since the 1950s. The Band had been so very loyal to its participation in such annual occasions as the ringing in of the New Year, St. Patrick’s Day parades, Corpus Christi Processions, various events at Green Glens, many sporting occasions, Béal na mBláth Commemoration and many more events. Aubane is a small rural community based in the old school with a great community spirit, and hosting set dancing every Monday night. Cloghoula National School, and Derrinagree National School have no websites as of the moment that we are aware of. The Glen Theatre hosts an extensive range of theatre, poetry, comedy and live music events such as traditional, rock, folk etc. Situated in Banteer. Movie Houses: The Cosey Cinema, Kanturk. The Briery Gap, Macroom. The Gate Cinema, Mallow. Killarney Cineplex. 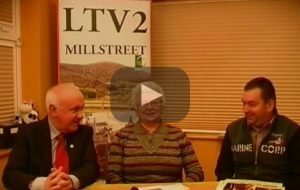 Our local TV station LTV2 have a channel on YouTube and a page on Facebook also. By Train: Iarnroid Eireann have printed timetables for the Tralee train line on which Millstreet lies. All other train timetables are here. From Macroom Regional Route 233 is an hourly regional service to Cork. [Cork Regional Timetables]. By Air: Cork Airport is 50 minutes by car, Kerry Airport is 45 minutes by car, Shannon Airport 80 minutes drive, and Dublin Airport is 4 hours drive. Enda O’Mahony Archaeological Services is an archaeological consultancy that offers a professional service to both the private and public sector. Michael Smyth School of Motoring offers a full range of driving lessons from single weekly lessons to intensive driving courses. Mouse Click is a Computer Company based in Millstreet that specialises in computer repairs, website design, software development and IT services. IRD Duhallow is a community-based Integrated Rural Development (IRD) company that combines the efforts and resources of the State Bodies, Local Authorities, Local Communities and individual entrepreneurs for the benefit of the local areas. A1 Tuition run Grinds and Revision Courses for Exam Students. Fingerprint Wood Products specialise in custom made wood products. The Animal Roadshow – Based in Millstreet. They travel with their animals to schools and parties all over Ireland. Fantastic education program with loads of learning opportunities. 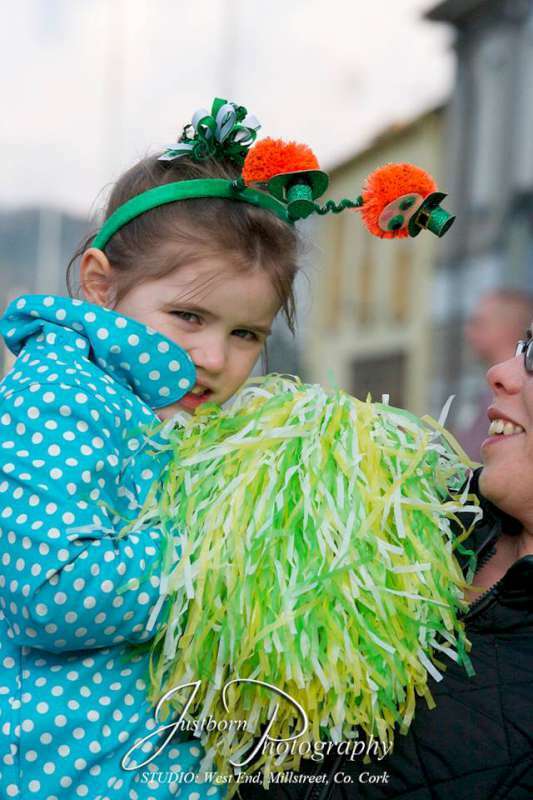 They also offer arts workshops, face painting, balloon modeling and family fun days around Munster. 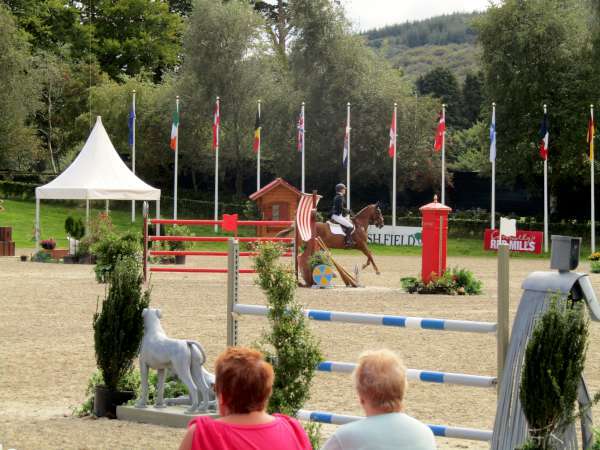 Millstreet Equestrian Centre – The Green Glens Arena-venue for the 1993 Eurovision Song Contest and International Show-jumping Events was established in 1991 and is complete world class, custom designed and built equestrian centre. Millstreet Horse Show site covers the has all the information on the show jumping events in the Green Glens arena. JK Cutters Dust free wall chasing, floor cutting, and coring. Amazing Beads Exclusive Designer Jewellery for those of you who prefer to buy your jewellery ready made, exclusive handcrafted designs are there for you. Eileen’s Sewing Service Professional Sewing Service for all your sewing needs. 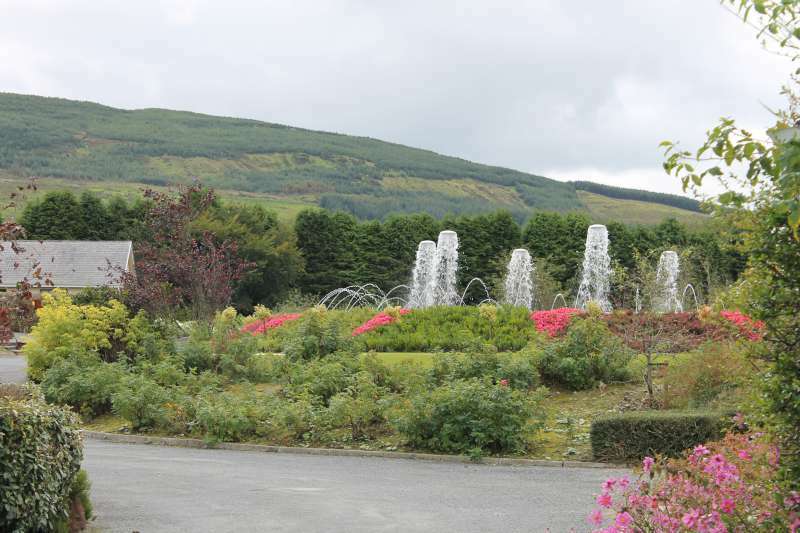 The Secret Garden is tucked away in the beautiful countryside of North Cork. Stocking a wide range of plants, trees, shrubs, perennials and gardening sundries, it’s the perfect place to come and find something different for your garden. We may be a little off the beaten track, but we think we’re worth the journey! O’Flynn Medical Ltd is a specialist company which sources and supplies medical equipment, aids and nursing care equipment for Hospitals, Nursing Homes and Homecare situations. O’Hanlon Tyres in the West End have tyres for all vehicles. “A Better Tyre for Less”. Millstreet Motor Cycle Training: Providing 1:1 Tuition for Beginners up to Test Standard. They also provide Bikes, Insurance and Protective Clothing etc . Clover Hill Food Ingredients is Ireland’s leading food ingredient 1 stop supplier working in partnership with bakery, dairy and meat food manufacturing and food service companies. O’Driscoll Travel in the square have been organising peoples holidays for over 50 years. Eileens Sewing Service in Derinagree is a Professional Fully Equipped Sewing Service for curtains, gowns, garments, alterations etc. Air Take Photography from Meelin take top quality, low altitude aerial photography for a fraction of the cost of traditional aerial photography. Death Notices: RIP.ie, C103FM, Independant Newspapers, The Sunday Tribune, The Irish Examiner (subscription only). Religious: Newmarket Parish, Millstreet Mothodist Church (the Lighthouse). Pommerit-le-Vicompte is the town in Brittany, France that Millstreet is twinned with. Could my website be put back on the links site please. As we have a number of customers from millstreet and have been involved in millstreet tidy towns as well as other events. I live in Pennsylvania, USA andenjoyed an equestrian vacati originating in Millstreet – probably about 8 years ago or so. 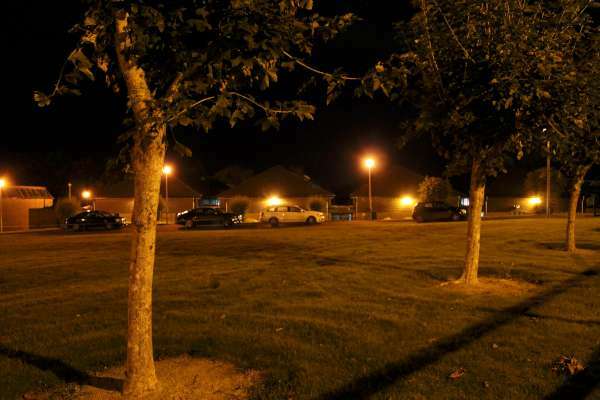 It was run out of Green Glen Equestrian Center which was within walking distance of a little downtown area. We stayed for a few days in dorm-type living at teh Center and then trail rode from place to place. We them trail rode from place to place each day and stayed in B & B’s and one hotel. The pictures from Millstreet Equestrian Center don’t seem to be the same place? I did not arrange the trip and ther person who did no longer has contact info. A gentleman named David was our host for the week and young woman named Moira assisted. There is another group of women interested in taking a similar trip. THis was very affordable at the time and great fun. Do you happen to have contact info on this facility or another one that offers similar town-to-town trail trips (not fox-hunting) at an affordable rate. Thanks! If you email me at <email> I will be able to give you all the information – just send me your email address and I can contct you then. During the recording of my father Joseph Thomas birth details in Napier New Zealand in 1915, the spelling of the surname became Lenihan, not an uncommon occurence I understand back then. However all details on my grandfathers marriage and birth certificate record the surname as Linehan. Would be very grateful to learn if the Linehans still live in and are farming at Dooneens. Hi David, if you drop me a line, I will send you the details you are looking for. I have been living in Australia for the past 15 years, but my 3 brothers and sister and their families all remain in various parts of New Zealand. Been trying to get in touch with you – have thought about the good old days over the years and I may just reach you this time – last time I saw you was in Radio Lakeland I think it was in Taupo – Dave Thomson and I keep in touch, have a photo of all us gang in 1960/61 taken in Rotorua and would be keen to get a reunion of us all if possible – have it in Napier of course. Have I got through to you and are you THE Dave Lenihan who worked in the Napier Telegraph Office back then. My name is Byron Fitzgerald, I am the ggg grandson of Julia Linehan, whom married John Fitzgerald in March 1835. Marriage and Baptism documents record Gurrane as the area of residence, in the parish of Dromtariffe. My gg grandfather William Fitzgerald marriage certificate (of 1879 in Sydney) shows that John as the father has the Christian name of Cornelius recorded on the marriage certificate. I suspect that there may be a connection to your family through Julia. 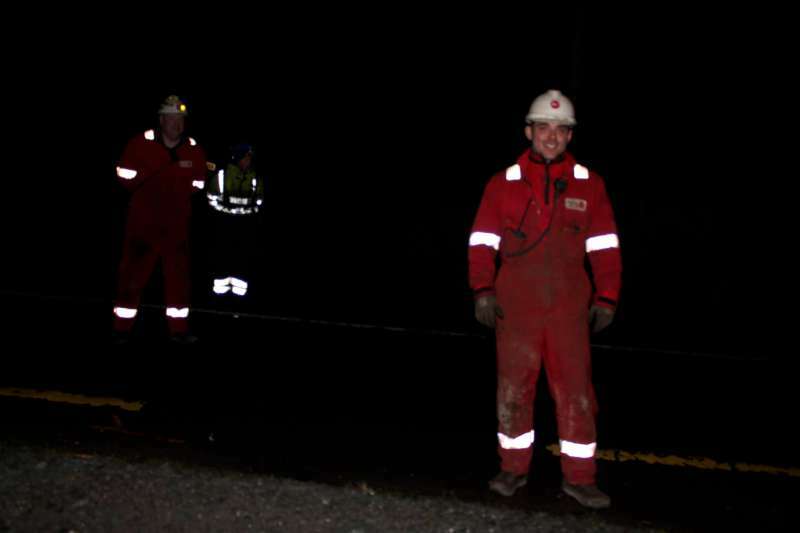 Any information that you may have received about the Lineman’s would be most appreciated. Hi Byron, Are you sure you have the correct William as there is also a William born 8 March 1835 to a Cornelius Fitzgerald and Julia Linehan in Cronrea Boherbue parish area. Hullo, was wondering if there are any photos available of the completed interior of St Patricks Church. Looking at the pics of the recent wedding of Julie and David I noticed how the renovated Church is very similar to my old parish Church in Napier New Zealand, also St Patricks, which was destroyed by fire, in 1982. Sadly it could not be restored to its former glory as it was a large wooden building and completely gutted.The remains were demolished and a completely new Church of modern design replaced it. It doesn’t have the feeling and history of course as the old, which was built in 1894 — a fine building of kauri NZ native wood, of pure Gothic style throughout, and capable of seating about 700 people. It was built at a cost of £3,500. The beautiful stained glass windows were imported from Lyons, and the bell, which weighed half a ton, was cast by the well-known firm at the time of Bourdon and Company, of Napier. The tall elegant spire of old St.Patrick’s was the first object to attract the eye on approaching Napier. I have searched the web but alas am unable to find a pic of the demolished St Pats to give you a comparison. I am a descendant of Jeremiah Linehan and Mary nee Hickey who immigrated to New Zealand form somewhere in Ireland, married here in 1881, and went on to have 8 children. My grandmother, Hannah, was born in 1887. The family lived I believe initially in Norsewood, the for the most part in Waipukurau both of which are not far south of Napier. I would love to find out more of this family’s history so if you or anyone else could help me patch together information I would be most grateful. Hullo Rosemary…I have recently completed my families connection to the Linehans in Millstreet, with very happy result. Afraid I can’t see any connection between our Linehan family tree and anyone named Jeremiah. My Grandfather Patrick Linehan, arrived in Wellington traveled on to Napier by sea, married Mary Monaghan,whose family originated in Gort Galway, in Napier in 1897, where the Surname changed from Linehan to Lenihan, they moved down to Foxton in the Manawatu, had 3 sons, my dad being the youngest and a daughter. They all moved back to Napier in about 1919 after the Great War and stayed there where my Grandmother Mary was killed in the great Napier earthquake of February 1931. Grandad Patrick then lived with my mum and dad until moving to wellington in 1947 where he passed away in 1949 aged 79. He is buried in the Catholic section of the Karori cemetery. you have an excellent start as you have the names of your grandparents. Im sure if any of the locals know the names you have mentioned they will get back to you, the good people of Millstreet are very friendly and helpful, God Bless them, particularly the Linehans of Dooneens 🙂 Hi to them all. Good luck in your search Rosemary, Hope the link helps. Thank you for your prompt reply. The changes of names certainly make tracing ancestors difficult. I suspect that Jeremiah was not actually known as that; rather he was known probably as John. That will be why two of his children have two different records of their birth; they seem to have a father called both Jeremiah and John. What is very frustrating is that only about twenty years ago my father’s cousin did research into the Linehan family with excellent results and actually visited relations back in Ireland. He was an interesting person, whose Christian name escapes me now; he was married for many years and a successful business man involved our national railway. When his wife died about when he retired he trained to be a priest and worked as one for about ten years. It was during his time as a priest that he visited Ireland which no doubt added to his welcome. Life seems to have had phases of great busyness, and so I didn’t get to talk to him about the history he found. The next thing I was at his funeral. While the original NZ family was large they went on to have very few children if any, so the family is very scant now. I will keep on with my endeavors however. I certainly remember the lovely old church in Napier. We would visit that city about once a year when I was a child. I remember fainting there one Sunday having of course had no breakfast according to fasting restrictions in place at the time. I also remember how freezing it was in the winter time. But such lovely architecture and wood. Hi, My great-grandmother, Nora (or Hanora) Reardon (or Riordon) was born in Millstreet, Country Cork. She was baptized on 2/17/1873. Her parents were Eugene Reardon & Catherine (Sullivan) Reardon. She emigrated to the U.S. in 1895. We believe she was a passenger on the Teutonic arriving in N.Y. on 5/30/1985. Are there any relatives still living in Millstreet? My sister & I are researching our familty tree, and Nora is the only relative who we have been able to trace back to a particular town so far. If you can help me locate any relatives in the area, we’d greatly appreciate it. Thank you! The picture of Killarney Road showing the floral arrangements at the side of the road makes a beautiful wallpaper that I see every time I turn on my computer. I enjoy the “snippets” about Millstreet and its current residents. Although my mother had options, she chose to emigrate to New York in 1926. Seeing all of you on this website and how you enjoy your community makes me wonder what my mother’s life (and mine) might have been like had she chosen to remain in Ireland (Knocknagree at the time). What an amazing link, I’ve just found this! My name is Kym Lenihan and I believe I am a descendant of Cornelius Linehan. My great grandfather was Patrick Linehan who came to New Zealand and for some reason his name was transposed to Lenihan. My Grandfather was definitely Joseph Lenihan who died in 1967. I am the daughter of Maurice Lenihan who was his oldest son and would love to hear from anyone who is related. I live in Hamilton New Zealand . I am a school teacher with two children – one at uni and another at high school. We would love to have you to stay -if anyone is down this way -Dad and Mum live at Mount Maunganui too which is a lovely beach resort -you’ d be most welcome!! Always a bed here and a beer and wine in the fridge!!! I am the great granddaughter of Daniel Murley and Honora Walsh who raised my grandfather at house #4 on Millstreet. Are any of these homes still there? I am planning a second visit and want to visit Millstreet. Thank. You! hi kathleen, most older houses in Millstreet would still be there. you give the address as #4 Millstreet, but you don’t give the street name. maybe it’s #4 Mill Lane, Millstreet that you’re looking for? Greetings from Millstreet! I think I may be indeed related to you. How exciting -yes of course you can email me at <email>. Looking forward to hearing from you. I am coming to Ireland in June and was wondering how to go about finding any information on my Millstreet ancestors….I know my gggg grandfather was from Millstreet: Daniel Murphy Sr and his son, Patrick Cornelius Murphy emigrated to the USA. Patrick (known as PC) was born in Millstreet in 1821 (? Kerry Diocese – St Michael’s Parish) and married Mary Crowley in 1840. Mary died in 1855 either in Ireland or en route to the USA. I visited Millstreet very briefly in 2006 but was unable to find any records or information – I was told there really weren’t any records before the 1850s. If anyone has any suggestions, I’d be very appreciative. Thank you. Happy greetings to all in Millstreet from Andrea Todt (Photo-Graphics, Westend). After moving to Canada in 2012 I am reading your website frequently which keeps me well informed. In May 2016 we celebrated the Christening of Liam Bailey (son of John and Anke Bailey, Perth) grandson of Maureen and Jim Bailey (Crinaloo, Rathcoole) and grandson of Andrea and Andreas Todt (Calgary, Canada) in Kilcorney. If you like you can remove my website from the link area of your website. Thank you and take care.